As I sit and pray during this Palm Sunday at Holy Mass, after receiving our Lord, my mind turned to the Cup of Salvation. What exactly is the Cup of Salvation, I pondered. As I sat in prayer, my heart grabbed on to Life in Christ. 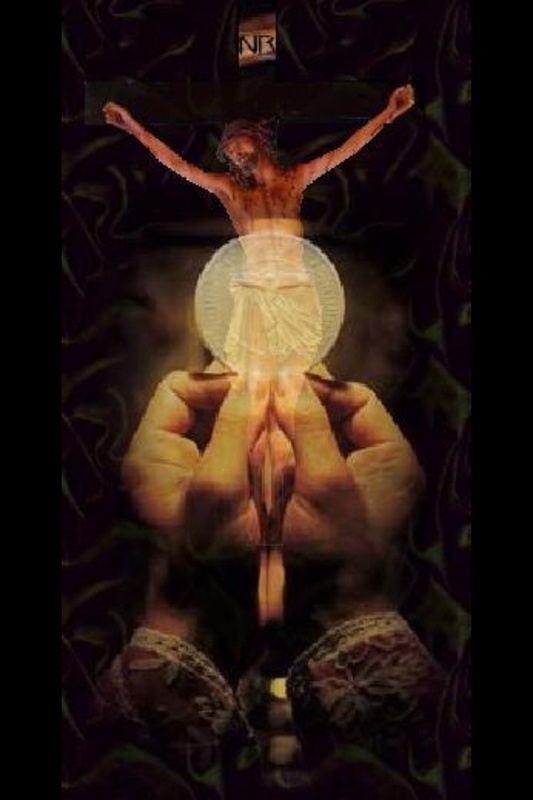 The Cup of Salvation being the Cup of Life given to the only begotten Son. His Life! As I pondered more, the cup of wrath came to my thoughts. Wrath being what comes to us, when we do not live in Christ. When we do our own will. When we disregard the other. This came, as we have free will, with a choice to make. Wrath? Or Salvation? I pondered more deeply, how wrath has been my way (sinfulness) in this world without our Lord, and how Salvation is what we work on as we continue to drink His cup. As we take on His Life, passing over our own, therefore with His joy and His peace, the wrath we deserve, has already been paid. Thank you Lord, I love You too. When “society” is faced with suffering, it often runs from it. Looking for the easy out. There isn’t one outside of Christ Jesus. The same propaganda spoon fed to German Society is being recirculated again, in the very exact way it was two years before the start of WWII. “Life unworthy of life”. Nazi Germany’s First Program of Mass Murder In other words, life not worth anything to me. Germany also passed unjust laws, which many blindly followed directly into concentration camps of their own. What exactly does that mean for man to say such a thing? If life is alive, and it is, what is unworthy of it? It is life and all life, no matter how small, or large, is life. Alfie Evens case, like many others, should teach us that a government set regulation which seeks to euthanize a child AGAINST the parents wishes, must always be regarded as unjust. The government is not the parent. To euthanize the child is a gross Human Right violation. As are all “Assisted Dying” Euthanasia unjust laws. For God’s peace to fill the hearts of all who travel upon the path of adoption. For those who have had to give up a child. Although your heart breaks, as mine does as well, I ponder our Holy Mother and how she had to give up her Child, our Lord so we all may live, being driven by a true act of Love, and I join that pain with hers at the foot of His Cross. May our Lord heal the bonds of Love that have been severed in this life. 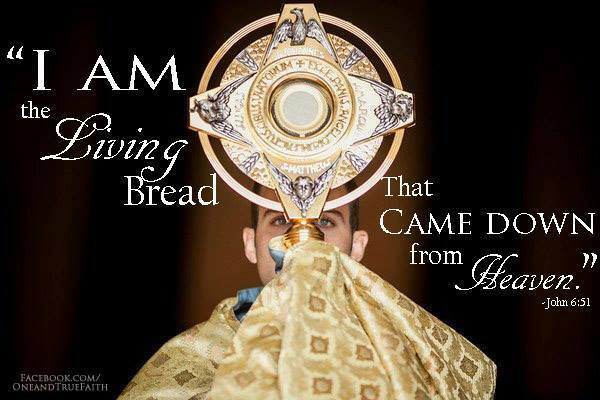 May our Lord bring His peace to us all and may we all be united again in our Lord Jesus Christ, for all time and eternity, with all His children, praising Him, as we trust in His Divine Providence. Amen. In this faith I intend to live and die. In this hope I intend to live and die. good, worthy of all my love. In this love I intend to live and die. 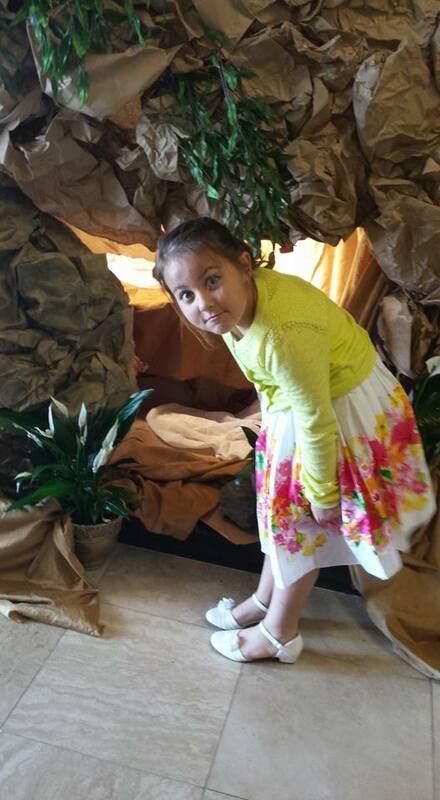 This is my daughter Chloe and her reaction to the empty tomb at Santa Sophia Catholic Church after Holy Mass today. We share the same expression for all He does. Thank you Lord for all your gifts, especially the gift of Life. Happy Easter – He is risen indeed! “Peter ran to the tomb” (Lk 24:12). What thoughts crossed Peter’s mind and stirred his heart as he ran to the tomb? The Gospel tells us that the eleven, including Peter, had not believed the testimony of the women, their Easter proclamation. Quite the contrary, “these words seemed to them an idle tale” (v. 11). Thus there was doubt in Peter’s heart, together with many other worries: sadness at the death of the beloved Master and disillusionment for having denied him three times during his Passion. There is, however, something which signals a change in him: after listening to the women and refusing to believe them, “Peter rose” (v. 12). He did not remain sedentary, in thought; he did not stay at home as the others did. He did not succumb to the sombre atmosphere of those days, nor was he overwhelmed by his doubts. He was not consumed by remorse, fear or the continuous gossip that leads nowhere. He was looking for Jesus, not himself. He preferred the path of encounter and trust. And so, he got up, just as he was, and ran towards the tomb from where he would return “amazed” (v. 12). This marked the beginning of Peter’s resurrection, the resurrection of his heart. Without giving in to sadness or darkness, he made room for hope: he allowed the light of God to enter into his heart, without smothering it. The women too, who had gone out early in the morning to perform a work of mercy, taking the perfumed ointments to the tomb, had the same experience. They were “frightened and bowed their faces”, and yet they were deeply affected by the words of the angel: “Why do you seek the living among the dead?” (v. 5). We, like Peter and the women, cannot discover life by being sad, bereft of hope. Let us not stay imprisoned within ourselves, but let us break open our sealed tombs to the Lord so that he may enter and grant us life. Let us give him the stones of our rancour and the boulders of our past, those heavy burdens of our weaknesses and falls. Christ wants to come and take us by the hand to bring us out of our anguish. This is the first stone to be moved aside this night: the lack of hope which imprisons us within ourselves. May the Lord free us from this trap, from being Christians without hope, who live as if the Lord were not risen, as if our problems were the centre of our lives. We see and will continue to see problems both within and without. They will always be there. But tonight it is important to shed the light of the Risen Lord upon our problems, and in a certain sense, to “evangelize” them. Let us not allow darkness and fear to distract us and control us; we must cry out to them: the Lord “is not here, but has risen!” (v. 6). He is our greatest joy; he is always at our side and will never let us down. Dear brothers and sisters, Christ is risen! Let us open our hearts to hope and go forth. May the memory of his works and his words be the bright star which directs our steps in the ways of faith towards the Easter that will have no end. that Thou mayest call me to serve Thee at Thine altar.